This month, Shelving Inc. hit a milestone. 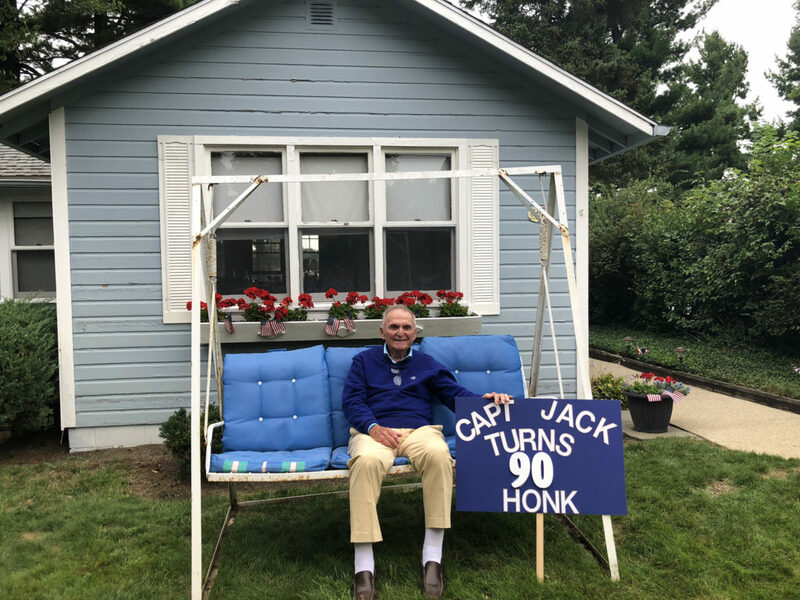 Not with our order numbers or total profits, but regarding something a bit more personal—our founder, Jack Schodowski, turned 90 years old. To honor this special occasion, we’re pulling back the curtain and sharing 9 facts about the man whose knack for industrial engineering + commitment to quality product led him to set the foundation for who we are today. He said he would never own a company. Growing up, Jack watched his father work tirelessly at his coal business and vowed not to follow suit. He eventually landed a job at Interlake Steel—dealing with distributers, he rose to be top 10 in sales. However, after a while he itched for more fast-paced work with actual customers. Although people said he was crazy, Jack left his comfortable position to begin this next adventure. 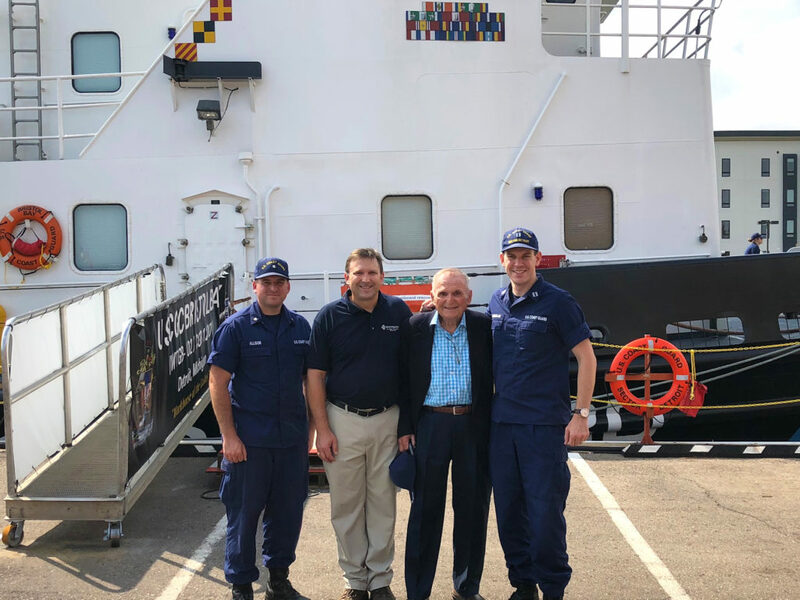 Joe Schodowski, son of Jack and current president & CEO of Shelving, Inc., visiting the U.S. Coast Guard Sector Detroit. He started Shelving, Inc. with a business partner—and it almost failed. While things started out well, they began to decline. After years of struggling to cover their expenses, Jack determined that in order for the company to succeed, something needed to change. Hopeful that he might be the one to turn things around, he gave the partner a choice: either Jack could buy him out or vice versa. And here we are today. The Shelving, Inc. truck delivered more than just supplies. Jack would occasionally load up the company van and take it home, ready for the next day’s job. One evening as the family spent time inside, his wife, Helen, went into labor. Merchandise in back, they drove to the hospital where she gave birth to their fourth child, Mike. Now an employee at Shelving, Inc., Jack joked that Mike made deliveries before he was even born. Jack in front of the Auburn Hills location. He always was (and still is) very family-oriented. Regardless of how busy things were at work, his kids distinctly remember that he always made it a priority to be home for dinner. He got the kids involved in the business, too. Alternating who he took to work each time, you could catch them on warm summer afternoons cutting the building’s grass. Or collected in the family’s home labeling stacks of vendor catalogs—afterwards paid a few bucks and taken out for ice cream. But he made sure to enforce fairness and hard work. When family members were old enough to be employed at the company, it was mandatory they start at the bottom and work their way up. From cleaning toilets to unloading trucks, they received no special treatment. Ultimately, he didn’t start this business to make money. A statement that often comes up when talking about Jack is how he mentioned creating Shelving, Inc. with the goal to help people. His vision was simple: dedicate the time and effort needed to leave a customer truly happy. Year after year, Jack found a genuine enjoyment in solving problems for customers and making lasting friendships with vendors. The next generation of Schodowskis may have taken the reigns but the values Jack put forth still hold true. Wonderful post. 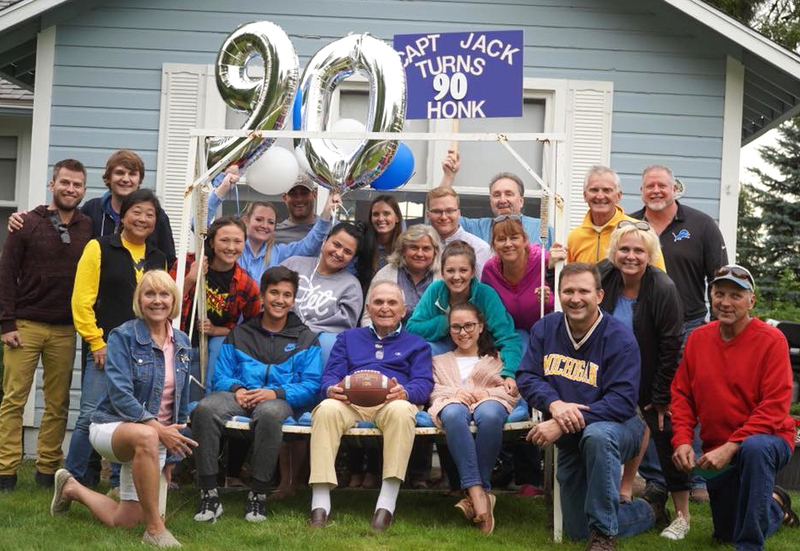 Happy Birthday, Jack !!!! 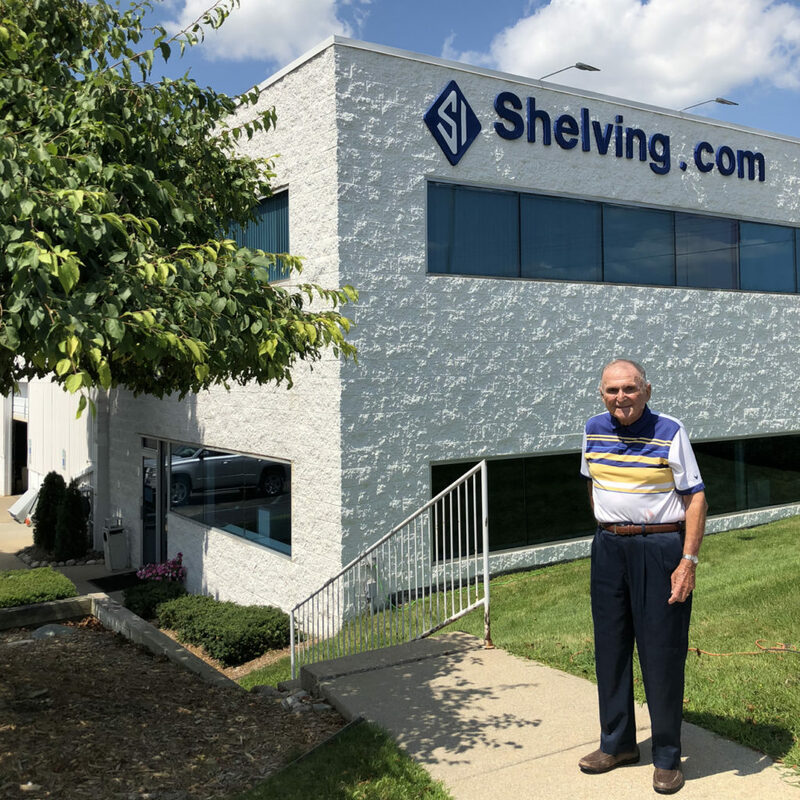 It has surely been a pleasure to have worked for Shelving Inc. (in the 70s) and to have known the family for these many years. Your friendship with our family has always been treasured and we wish you and the entire family the very best. Great Values = Great Company ! Mary Jo, Ashley, and I have always appreciated your generosity and always making us fell a part of the Schodowski family. We love you!! !